After Javier Bardem and Bill Gates, here is an article about the late and talented Prince. It seldom happens that a natal chart matches so very well the public image of a person, in this case Prince, the Kid of Minneapolis. Immediately after his death, on 21 April 2016, it felt like a whole era had disappeared. No musician has represented so many symbols for a generation, which was 20 in the eighties or the nineties. They danced the night away on songs such as Sign o' the Times and Lovesexy; with the soundtrack of Purple Rain or of Batman, Prince earned global success. His world tours will go down in the annals of the history of music, each concert being different from the earlier one. Born a Gemini, Prince was both extraordinarily precocious and gifted for stage performances. Very early, he knew how to play more than twenty musical instruments, constantly experimenting and composing with unique freshness. He was a creator, a singer, a dancer, and even an actor. In short, all the portrait of the third zodiacal sign in its entire expression, starting with the look of an androgynous leprechaun and a tightrope walker. However, even more powerful than Gemini's in his horoscope, the added influence of Pluto and Scorpio, the sign it rules being on the Ascendant, is felt. Ambiguity is never a deterrent, on the contrary, since this is one of the typical traits of two signs so deeply different as Gemini and Scorpio. The former brings in a pirouette, whereas the latter remains unyielding quite stiffly. The latter gives profundity to Gemini's obviously multi-faceted yet easy or superficial talents. The paradox of a passionate nature expressing itself with utmost lightness, so to speak. It is mainly Pluto, posited on the Midheaven (the career) in the last degree of Leo, who draws attention. This tight conjunction turns Pluto into the ruler of the chart, not to mention his other planetary links. Now, what was the singer's speciality? Perhaps his extreme way to experience passion, to be daring, to go against common morality, to openly confess his interest in sexuality, and to run after the most beautiful women of the world, finally in order to better escape. Indeed, Pluto, already tormented, forms a nice trine with Saturn in the 1st House (though not in an angle). Such a configuration may have suited a religious personality capable of asceticism in pursuit of a higher aim. In conformity with this destiny, Prince actually passed away in a certain solitude after a long period of discretion, far away from his years of flamboyant excesses. Previously, he was among the artists who publicly denounced the methods used by the record industry, and gave up his contract with Warner to start broadcasting himself his songs on the Internet. As underlined by numerous pop music experts, Prince was with Michael Jackson and Madonna, born like him in 1958, one of the mega stars of America who enjoyed the infatuation of the public. The three of them contributed to achieve some sort of revolution in terms of sonority and stagecraft at the end of the 20th century. As for karmic astrology amateurs, they may observe that Prince's chart has its specificity, with the North Node conjunct Neptune – the planet highlighted in almost all great musicians' charts – whereas Michael Jackson and Madonna, born in August, have the North Node conjunct Jupiter. The Dragon's Head had started to separate from Neptune. What conclusion should be drawn? Everyone can venture one's explanation. A reasonable hypothesis is that Prince was more than the two others in communion – Neptune – with something sacred that he did not control, as mentioned above. Many aspects of his life may suggest that he did not feel the need to confront reality. He often lived withdrawn in his bunker-house of Minneapolis, a sort of grotto turned into a recording studio, where daylight may not have been indispensable. This also echoes a prominent Moon in Pisces. It is perhaps under this influence that he was inspired to compose the album which brought him worldwide fame, the masterpiece Purple Rain, purple being Pisces' favourite colour. This Moon is a perfect counterweight to the opposition of Pluto, on the Midheaven-Imum Coeli axis. This pattern indicates strong instincts, that Prince used socially (the 10th House), but the roots of which he did not control well (the 4th House). It should be noted that the Moon and Pluto form a T-square with Mercury in Gemini, completing the singular tonality of the artist's chart: overexcited, Prince, went very far in terms of excess. Too far perhaps, but it might be the price to pay for having received so many talents from the gods. 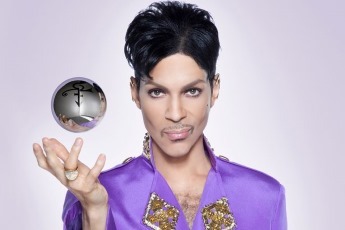 You can also read the Astrotheme astrological portrait of Prince.